A world in which the roads are dominated by all-electric vehicles (or EVs) is a dream still faced by many challenges. EVs are still a long way away from being able to offer the convenience and journey longevity of gasoline-powered cars due to the limitations of their batteries and the need for recharging. Skyline Parking has taken a leading position in overcoming one challenge: recharging EVs in a space-efficient manner. In order for electric vehicles to gain wider acceptance, it must become more convenient and efficient to recharge EV batteries. In practical terms, this means EV battery recharging needs to be automatic (requiring no physical effort) and much faster that it currently is. 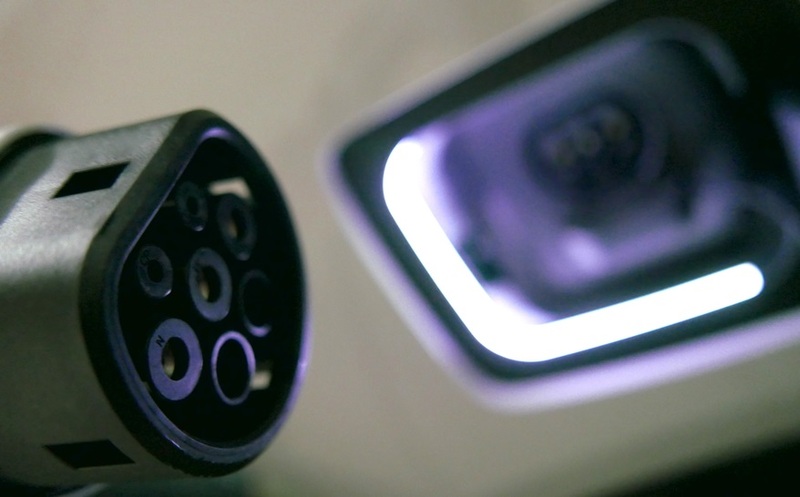 Today's manual battery recharging process requires drivers to park at available recharging stations and physically connect their EV to a large electrical cable. Once plugged-in, the recharging process can take hours to complete. Parking spaces of the future will require the capability to recharge EVs automatically. Skyline Parking has determined that the future of EV recharging technology will be focused on what’s known as "inductive" or "wireless" recharging. This is the same technology that is currently used in charging pads for smartphones and electric toothbrushes, but on a much larger scale. The first major benefit of inductive recharging is the fact that it is wireless, meaning no mechanical connection is required and it’s much easier to use. Secondly, it has the potential to shorten recharging times. Skyline continues to exchange expertise with EV OEMs, Tier 1 suppliers and automotive industry experts to be informed first-hand of any developments surrounding the standardization of wireless automatic recharging systems for EVs. It’s anticipated that inductive recharging systems will be sufficiently standardized to be put to commercial use within the next few years. In addition to making EV recharging more convenient and efficient, the issue remains as to where and how tens of thousands of EVs should be parked. Conventional parking spaces are not the answer. The relatively long period required to recharge EVs and the need for recharging equipment create new paradigms for parking and parking facilities. Once EVs become commonplace, the challenge will become how to park and recharge EVs in a space-efficient manner. As a leading provider of Automated Parking Systems (APS), Skyline Parking is developing a solution for integrating wireless automatic EV recharging facilities into the most space-efficient parking available anywhere. Whether starting from scratch or retrofitting an existing project, the Skyline APS with automatic EV recharging is the parking solution for a world filled with electric vehicles.